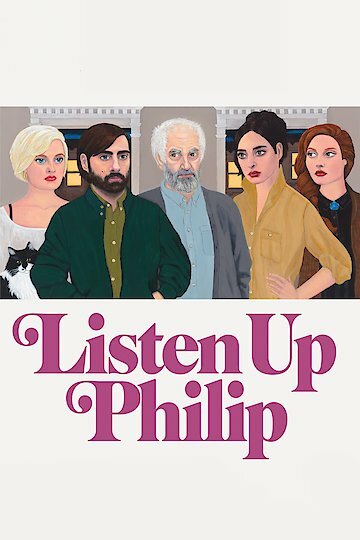 Listen Up Phillip is a satirical drama about an author named Phillip who is about to publish his second novel. Although his novel is expected to be a success Phillip feels rather disinterested in promoting it. His relationship with his girlfriend is coming apart at the seams and he is unsatisfied with where he currently lives. An opportunity arises for Phillip to get out of town and stay in a secluded location and he gladly accepts the offer. Listen Up Philip is currently available to watch free on Vudu Free and stream, download, buy on demand at Amazon, Vudu, Google Play, iTunes, YouTube VOD online.